Let’s get this out of the way early. Hatoful Boyfriend is a Japanese pigeon dating simulator. It is a game in which you romance pigeons. 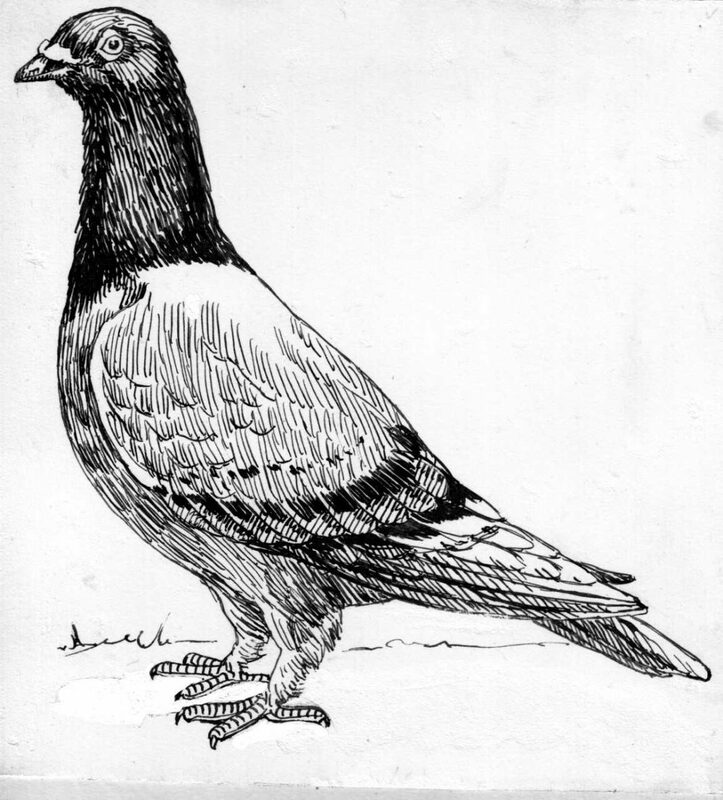 You, the central character, are not a pigeon – you are a human girl who is embarking on her second year at St Pigeonation’s Academy for Gifted Students, where every other student is a bird of some sort. While the game does have brief visualisations of what the birds would look like if they were human – a mourning dove is represented by a mopey-looking young boy with green hair, for example – it doesn’t shy away from the fact that it is about dating birds. From the adorable puns (every instance of “everybody” is replaced with “everybirdie”) to a teacher fretting that he might fly into the ceiling if startled, there are constant reminders that your suitors aren’t just human boys dressed up with a pigeon gimmick. The game embraces this so eagerly and with so much charm that it doesn’t come across as creepy – it is worth noting that this is partly because the relationships the player forms are never sexual in nature. The most you’ll see from your feathered friends in that regard is a hug. Each bird has their own distinct route, which vary in tone, and they’re all given a surprising amount of development and depth in a high-camp sort of way. It’s this variety that keeps the game fresh- you can go from an over-the-top RPG in one route and find yourself in the psychological horror genre in another. While it often leans on absurd humor and has a decidedly cutesy facade, Hatoful Boyfriend actually considers the horrific implications of its premise in some detail in its final route. There are hints and glimpses here and there in the various standard routes, but once they are complete the game kicks its horror elements into overdrive as you discover that its creator, Hato Moa, really has thought of an answer for everything. The fact that the protagonist is the only human around is only referenced sparingly in the initial playthroughs, but there is still an incredible sense of wrongness bleeding through the cracks. Why, for example, are there vistas of deserted streets and ruined skyscrapers while she is on a late-evening jog through the city? Like Doki Doki Literature Club, this darkness is hidden below a cutesy surface. Some of the content of the routes, particularly the final one, can be unsettlingly macabre, but the script is peppered with enough moments of levity that it never becomes too overwhelming. Even the most miserable of routes still include shades of humour, and the twists and turns rarely feel cheap or unearned. Hatoful Boyfriend is one of the few games that has ever made me cry, which is utterly ridiculous for a game about trying to smooch pigeons. I first played it in 2012, and still think of it first when trying to come up with otome recommendations. If you can get past its initial strangeness, it ends up being quite possibly one of the most charming and well-written dating sims out there.